Roy Hall, of Music Hall, US distributor of the Creek and Epos brands, called me one day a few years back. He was hawking review samples of Epos speakers. "Bob, I'd like you to review a speaker from the eeh-pos line." "Roy, I'm a big fan of Epos, but I review only inexpensive speakers; I think the Eposes are out of my price range." "Nonsense. Since Mike Creek [founder, designer, and co-owner of Creek] purchased Epos from Tannoy in 1999, he has redesigned the entire Epos line and has shifted manufacturing to China to cut costs. So the new Epos line is lower in price without compromising quality." "What is the least expensive Epos?" "That would be the ES-12, at $895." At the time, my self-imposed price ceiling was $750/pair. I politely declined. I began to lose my patience. 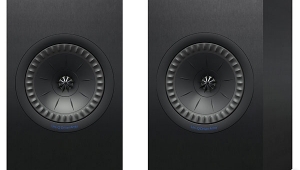 "Look, Roy, over the last few years I've reviewed two flagship Creek integrated amps, and it seems that every time you drop your cell phone in the toilet, Sam Tellig writes page after page about it. 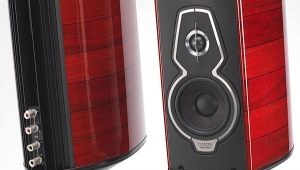 You certainly get enough exposure in Stereophile." "But I want you to review an eeh-pos!" 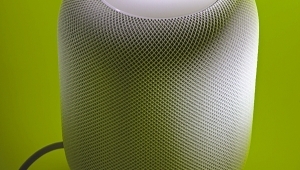 "Give me a call when Mike designs a less expensive speaker, and not until then." Last year, Roy rang me up again. 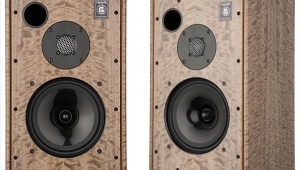 "Mike Creek has designed a new bookshelf speaker, the ELS-3. It's dynamite! And cheap!" 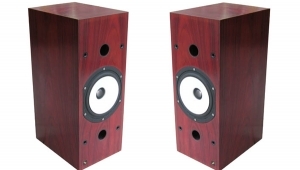 The ELS-3 is a shielded two-way bass-reflex design. Its 1" aluminum-dome, tweeter is a new and proprietary Epos design using a neodymium magnet. The 5" woofer has an injection-molded polypropylene cone and a rolled rubber surround, all on a heavy chassis of diecast aluminum. To reduce cost, Epos used a cabinet featuring a vinyl wrap rather than the real-wood veneers featured on more expensive Epos designs. Even so, I was quite taken with the light cherry finish (dark cherry is also available), which I found attractive and elegant. A center-channel variation of the ELS-3, the ELS-3C, should be available by the time you read this. 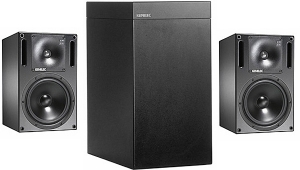 I'm used to $300/pair speakers being packaged with dumbed-down owner's manuals: "This is the black terminal, this is the red terminal, don't leave the speakers out in the rain, electricity is dangerous." Not so with the Epos. Mike Creek's exhaustively detailed yet accessible manual intelligently discusses system setup, speaker placement, and the importance of good wiring. He even goes into detail about how many hours of break-in are required, and describes how one will hear the sound change as the speakers break in. He recommends leaving the grilles off for best performance, and I agree: The ELS-3 was slightly more detailed and transparent with its grille off, but the difference wasn't dramatic. 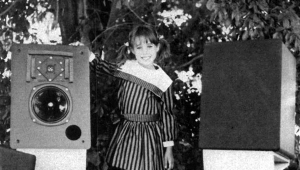 When I began reviewing audio gear 20 years ago, friends criticized my style—if my conclusions were favorable, I tended to tip my hand at the very beginning. Over the years I think I've matured in my writing and have learned to contain my enthusiasm during the writing of a favorable review. Well, consider this review a reversion to journalistic adolescence: I have not been this excited about an entry-level speaker in years. Was the ELS-3 special because it had a natural tonal balance with no noticeable colorations throughout its entire range? That was true, but that's not why the speaker was special. Was it because the ELS-3s projected a wide, open soundstage, and completely "disappeared" with well-recorded program material? Also true, but also not quite the point. 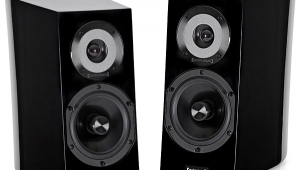 Or was it because, despite its small size and price, I was unable to hear any glaring flaws whatsoever in the ELS-3—unless I pushed the speaker beyond what one could reasonably expect for its size? True again, but still not why the ELS-3 was special. 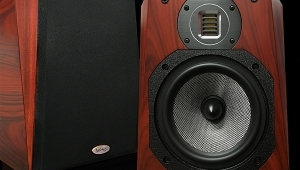 • a level of detail resolution I normally associate with speakers approaching $1000/pair. Jazz fans will love the ELS-3's reproduction of well-recorded string bass. Ray Brown's bass solo on "I'm an Old Cowhand," from Sonny Rollins' Way Out West (CD, Verve/JVC VICJ 60083), was warm but not overly so, and vibrant, with just the right amount of naturally wooden resonant buzz. 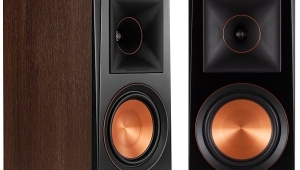 My listening notes: "I want these. 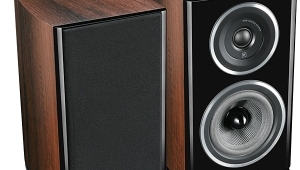 They sound so good I don't miss my big speakers." Gary Wilson puts his electric-bass chops through its paces on "When You Walk Into My Dreams," from his You Think You Really Know Me (CD, Motel MRCD 007), as he plays rapid melodic figures throughout the instrument's range. 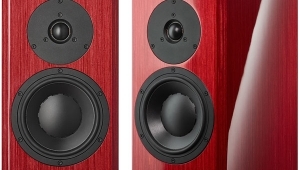 An inferior speaker will show a discontinuity between the instrument's upper and lower registers; at worst, Wilson can sound like two different players. 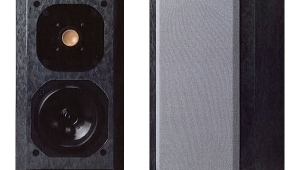 The ELS-3 was natural quick and uncolored throughout the track, which pointed out another unusual feature of the speaker. 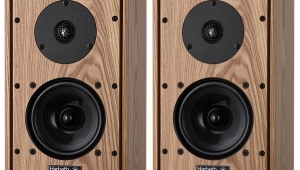 In most speakers I've heard of this size and price, the designer has made some compromise in bass extension: either he's limited the midbass extension, or he's created a resonant, "hooty" discontinuity in the midbass in the design of the port tuning. 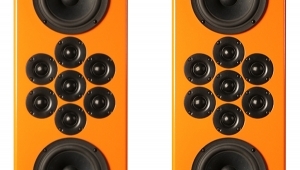 Not so with the Epos ELS-3—the extended midbass and upper bass were cut from the same sonic cloth. As such, the synthesized bass on all tracks of Sade's Love Deluxe (CD, Epic EK 53178) were tuneful and linear, with no sense of overhang on any notes. But don't expect deep-bass performance from these tiny puppies; timpani sounded timbrally correct but not dramatic, and orchestral bass drums didn't shake the room.